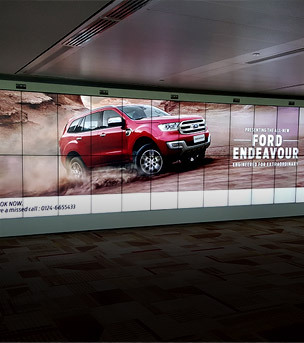 Promoflex Display Systems aka Pioneer Aluminium Pvt. Ltd. (PAPL) is India’s leading signage and display solutions company. Our association with TIMDAA has been that of a signage design consultant and manufacturer of signage hardware at T-3. The challenge always had been to create a design which is conforming to meet with best of the international standards, in addition to being easy to maintain & operate. The work includes totem units, Scrollers, Backlit Signages, Videowalls. 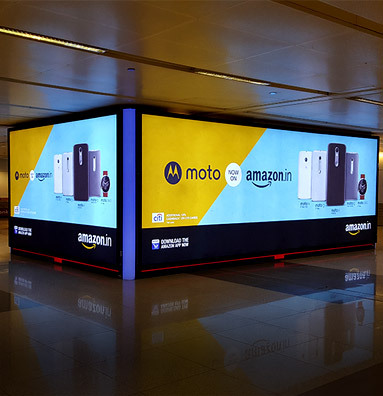 We have been associated with “TIMES OOH” for the last 10 years and were successful in designing and executing the project of the advertising hardware for the T-2 Terminal, Mumbai. This included large format backlit signages, Unconventional signages with state of the art flex tightening mechanisms, Patented retractable signages. 80,000 sq ft of work was finished in 45 days. 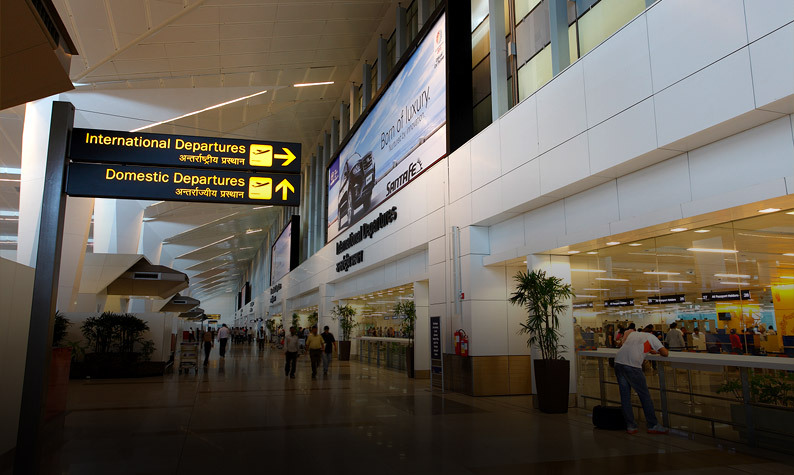 We worked very closely with our client GMR to provide the Airport with a world-class wayfinding solution. The project comprised of around 2500 signages that included: Suspended Signages, Post-Mounted Signages, Projected Signages, Face-Mounted Signages, Gate Identification Signs, Time Planners and various identification signs. This included complete wayfinding solution with flexible modular design and conforming to the green building design. 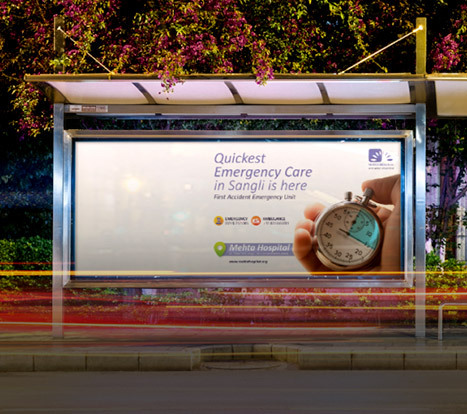 Out-of-home media advertising is focused on marketing to consumers when they are "on the go" in public places, in transit, waiting (such as in a medical office), and/or in specific commercial locations (such as in a retail venue). OOH advertising formats fall into six main categories: billboards, street, roads, highways, transit, and alternative. Billboard advertising is a traditional OOH advertising format, but there has been significant growth in digital OOH. Wayfinding signages are information systems that guide people through a physical environment and enhance their understanding and experience of the space. Wayfinding is particularly important in complex built environments such as urban centers, healthcare and transportation facilities. As architectural environments become more complicated, people need visual cues such as maps, directions, and symbols to help guide them to their destinations. In these often high-stress environments, effective wayfinding systems contribute to a sense of well-being, safety, and security. Visual merchandising is the practice in the retail industry of developing floor plans and three-dimensional displays in order to maximize sales. Both goods and services can be displayed to highlight their features and benefits. Street furniture is made up of formats such as bus shelters, news racks, mall kiosks, and telephone booth advertising. This form of OOH advertising is mainly seen in urban centers. Additionally, this form of advertising provides benefits to communities, as building and maintaining the shelters people use while waiting for the bus.